Monster Energy AMA Supercross, an FIM World Championship, continues to build on its partnership with St. Jude Children’s Research Hospital. During the Nashville Supercross, riders included art created by St. Jude’s patients on their bikes. St. Jude patients were on hand to help launch a special St. Jude/Supercross Auction that features autographed gear as well as an Official 2017 Ryan Dungey Championship Replica Ring and a Bullfrog Spas Hot Tub (pictured below). The online auction runs through the final race in Las Vegas. You can help St. Jude by texting “SUPER” to 785-833 or by visiting stjude.org/supercross. 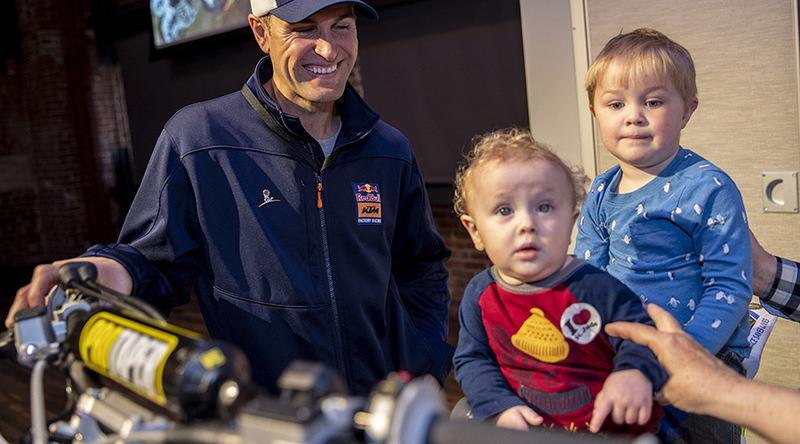 Over the years, the Supercross community has rallied around St. Jude, which is leading the way the world understands, treats and defeats childhood cancer and other life-threatening diseases. This is thanks in part to Ryan Dungey. In 2017, he helped launch an inaugural text-to-donate campaign. 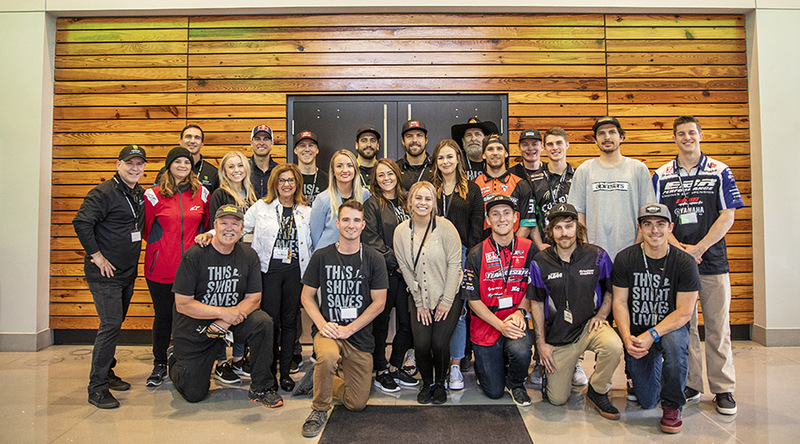 Last year, Supercross athletes and fans raised more than $100,000. Fans can join the cause by participating in the text-to-donate campaign. By doing so, they will receive an exclusive "THIS SHIRT SAVES LIVES" t-shirt featuring the Supercross logo. Fans can then post their own photos wearing the campaign T-shirt on social media using the hashtag #ThisShirtSavesLives and #supercrosslive.